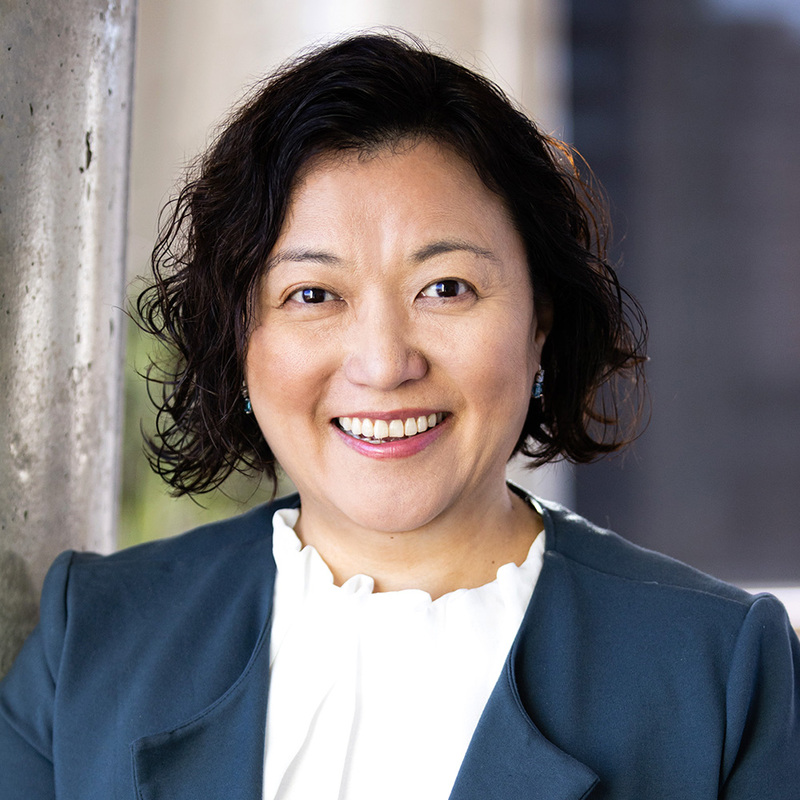 Leona Tam is Professor of Marketing at the University of Technology Sydney and Acting Head of the Marketing Discipline Group. She holds a Ph.D. in Marketing (Texas A&M University), and an M.Phil and a B.B.A. in Marketing (The Chinese University of Hong Kong). Her main areas of expertise are behavioural recurrence, consumer psychology, and judgment and decision making in personal finance and health. She has developed a measurement scale to capture personal saving orientation. She has identified loyal and habitual customers from loyalty program data and differential effects of promotions on these customers. She is currently working on projects about habit versus loyalty, temporal effects, and repeated behaviour in personal finance and health. She has published in a number of marketing, management, and psychology journals including Journal of Consumer Research, Journal of Marketing, Psychological Science, Journal of Personality and Social Psychology, and Organizational Behavior and Human Decision Processes, Journal of Service Research, and Health Psychology. Judgment and decision making about behavioural recurrence such as habits, brand loyalty, and implementation plans in personal finance and health. Leona has taught courses in Marketing Management, Marketing Strategy, Research Methods and Consumer Behaviour at the undergraduate and postgraduate levels, and has successfully supervised PhD students. © 2017 Westburn Publishers Ltd. This article presents an empirical investigation of how behaviour maintenance is supported or hindered through value creation and destruction in social marketing. Using a longitudinal, netnographic approach, we identify and examine the key facilitators and barriers encountered during the maintenance of physical and mental health behaviours. Data were collected over a 12-week observation period via Twitter from a sample of 242 participants. A total of 5212 tweets were analysed using content and thematic analysis facilitated by NVivo software program. The findings identify key barriers to and facilitators of behaviour maintenance at the individual level (downstream), meso level (midstream), and policy level (upstream) that have an influence on value creation and destruction in social marketing. These findings demonstrate the importance of employing a strategic and integrated approach to social change management. Low personal savings rates are an important social issue in the United States. We propose and test one particular method to get people to save more money that is based on the cyclical time orientation. In contrast to conventional, popular methods that encourage individuals to ignore past mistakes, focus on the future, and set goals to save money, our proposed method frames the savings task in cyclical terms, emphasizing the present. Across the studies, individuals who used our proposed cyclical savings method, compared with individuals who used a linear savings method, provided an average of 74% higher savings estimates and saved an average of 78% more money. We also found that the cyclical savings method was more efficacious because it increased implementation planning and lowered future optimism regarding saving money. We examined the consequences of personal savings estimate inflation that occurs when decision makers provide savings estimates for specific future months when compared with the next month or the next year time frames, along with a method to attenuate this bias. The results of three experiments showed that the savings estimate inflation leads to significantly larger estimates of desired nest egg size (Experiment 1) and preference for riskier choices in other financial domains such as investment and employment decisions (Experiment 2). An attempt to attenuate this bias revealed that it is corrected when individuals provide a budgeting estimate prior to giving a savings estimate (Experiment 3). The theoretical and practical implications of the findings are discussed. © 2012 John Wiley & Sons, Ltd. When trying to achieve a goal (such as losing five pounds), people run into problems with getting started (begin controlling one's diet), keeping at it (continue cutting out the sugar), or both. Failure at either initiation or persistence in goal striving reduces goal attainment significantly. One way to overcome these challenges is to form implementation intentions (i.e., make detailed plans on when, where, and how to enact goal-directed behaviors, Gollwitzer 1999). Implementation intentions improve action initiation under cognitive load (Brandstaetter, Lengfelder, and Gollwitzer 2001), and shield goal pursuit behaviors from distractions (Bayer, Gollwitzer, and Achtziger 2010). Most implementation intentions research focuses on the outcome (i.e., goal attainment), not distinguishing between initiation and persistence or examining them independently (Gollwitzer and Sheeran 2006). It is unclear if planning out goal-directed behaviors is equally effective for starting and persisting in goal pursuit and what the underlying mechanisms are. The present research addresses this gap. © 2012. Successful innovation requires teams to embrace and enact change. However, team members often differ in their preferences for change. We examine how regulatory focus affects dyadic teams' tendencies to enact change across an array of repeated brand management decisions. Understanding such tendencies is important, since the innovation process is characterized by a series of investment decisions typically made by teams, yet prone to significant biases. Regulatory focus theory provides a framework for understanding the dominant motivations driving decision-making during goal pursuit. It argues that individuals operate under either a promotion or prevention focus, influencing preferences for stability vs. change. We develop a set of hypotheses regarding regulatory focus match vs. mismatch in teams and their effects on the relative tendency to enact change in decision-making. In the context of dyads involved in a complex management simulation consisting of multiple decision cycles, we empirically demonstrate that a promotion focus match is associated with greater levels of change in decisions than a prevention focus match, regardless of the type of goal pursuit strategy prescribed to dyads. Under regulatory focus mismatch, however, dyads are guided by the goal pursuit strategy (vigilant vs. eager) provided to them, which in turn informs their propensity to implement change. Without change there is no innovation, creativity, or incentive for improvement. C. William Pollard (1996, p. 116) © 2010 Blackwell Publishing Ltd. Le, KN, Tam, VWY & Tam, L 2009, 'Assessment schemes in engineering courses using spectral techniques', International Journal of Engineering Education, vol. 25, no. 3, pp. 547-556. This paper studies assessment schemes with regard to attitudes and understanding in engineering undergraduate and postgraduate courses at Griffith University, Australia. A survey was conducted consisting of eight typical assessment schemes: seminar, open-book mid-semester test, closed-book mid-semester test, problem-based assignment, presentation, multiple-choice question, closed-book final examination and open-book final examination. F-test, Relative Important Indices (RII), and rankings of each scheme are estimated. An additional insight into the student responses is given by using a novel spectral technique of computing the power spectrum of the data. Detailed comparisons are made. Recommendations are given. Further work is also outlined. © 2009 TEMPUS Publications. Spanjol, J & Tam, L 2013, 'It's the thoughts that count: substitution for goal striving actions', Looking forward, looking back: drawing on the past to shape the future of marketing, 16th Biennial World Marketing Congress on Looking Forward, Looking Back - Drawing on the Past to Shape the Future of Marketing, Springer Int Publishing AG, Melbourne, AUSTRALIA, pp. 11-11. Spanjol, J, Tam, L & Tam, V 2013, 'Fit to be creative: organization-employee congruence on environmental values', Looking forward, looking back: drawing on the past to shape the future of marketing, 16th Biennial World Marketing Congress on Looking Forward, Looking Back - Drawing on the Past to Shape the Future of Marketing, SPRINGER INT PUBLISHING AG, Melbourne, AUSTRALIA, pp. 529-529. Tam, L, Spanjol, J & Rosa, JA 2012, 'Unintended Effects of Planning in Goal Striving Substitution and Amplification', PSYCHOLOGY OF THE ASIAN CONSUMER, Annual Advertising and Consumer Psychology Conference (ACP), ROUTLEDGE, Nanyang Technol Univ, Singapore, SINGAPORE, pp. 33-39.